On 22nd February Blackpool FC submitted their accounts to Companies House for the financial year ending 31st May 2010. While these accounts don’t factor in the riches bestowed upon the club upon promotion to the Premier League, I’d like to examine the financial standing of the club in recent seasons, and how its new found wealth will affect its future. With this being such a meaty topic, I have decided to tackle this in two separate posts, the second of which will follow at some point later this week. 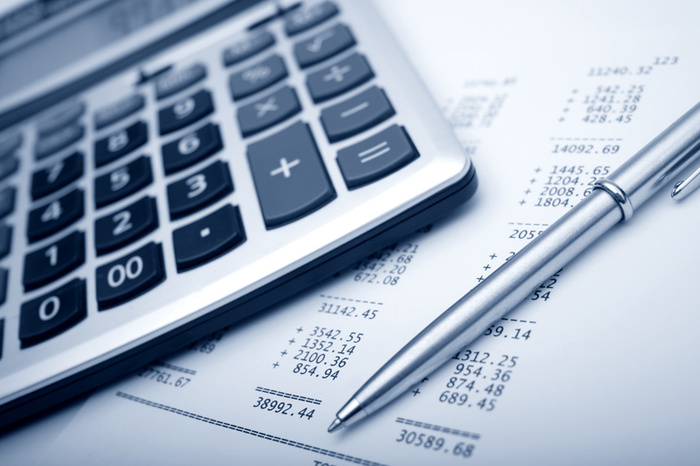 In order to understand the financial accounts, it is necessary to examine the ownership structure of the club. Even before Owen Oyston took control of Blackpool FC in 1988, the club had been split into two entities – separating the playing side from the club’s properties. Glenhaven Properties Limited (later renamed Blackpool Football Club Properties Limited) was incorporated in December 1985, acting as a parent company to Blackpool Football Club Limited. This way both companies remain under one umbrella, meaning there isn’t quite the disconnect imagined by many supporters. 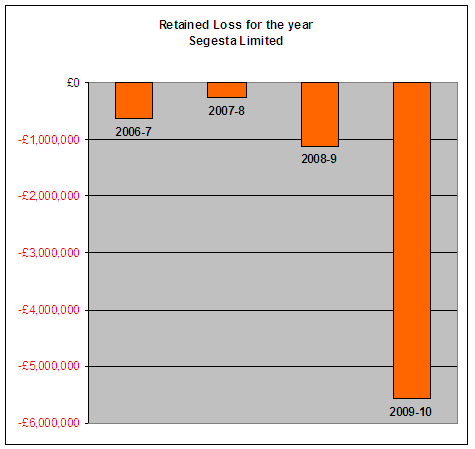 For reasons unknown though, the Oyston family opted to change the name of the parent company in May 2007, to the abstract Segesta Limited. 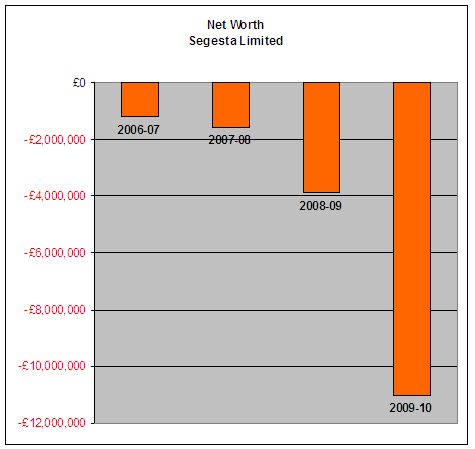 The latest accounts show that Segesta Limited owns 76.3% of the Blackpool Football Club Limited. Club President Valeri Belokon owns 20% of the football club through his vehicle VB Football Assets Limited, but scant details are available on this particular company, as it does not appear to be registered in the UK. As to whom the remaining 3.7% of the playing side belongs, this is unclear and is not highlighted in the accounts of either BFC Limited or Segesta Limited. The parent company is wholly owned by the Oyston family – Owen holding 99.88% of the 1,606,674 shares with the remainder being held by Owen’s wife Vicki and son Karl. Following Owen Oyston’s imprisonment in 1996, day-to-day running of the club fell to Vicki, who experienced a few turbulent years before passing on the mantle to son Karl in April 1999. Karl Oyston has overseen the club’s meteoric rise to the Premier League, although a significant part of the Seasiders’ support still hold the belief that this was achieved in spite of him. Regardless, it is clear that the balance of power lies firmly in the hands of one man – Owen Oyston. If you look at the headline figures in the club’s accounts, the first thing to catch the eye is the retained profit – or in the case of Blackpool FC, the retained loss. The club has made a loss (after tax, interest and amortisation) in each of the last four financial years, with the most pronounced loss taking place in the most recent financial year, when the club racked up a retained loss of over £5.5m. The reasons for this will be explained later, but an increased playing budget contributed to this, among other things. The playing staff’s promotion bonus appears to have been charged against the 09/10 accounts, despite the fact it was not paid out until the first tranche of Premier League money was received in August 2010. Nevertheless, it’s important to realise that despite the tight financial constraints under which the club has operated in terms of the playing budget, Championship status still hadn’t been enough to make the club break even. Had the club not won promotion to the Premier League one has to wonder in which direction the club might have gone. A lack of capacity had obviously hindered the ability to increase gate receipts, but ‘Pool would surely have relied on filling the extra space in the Championship to even continue paying its relatively low wage bill. Another key headline I looked at in the club’s accounts was its net worth – i.e. if you subtract all its liabilities from the value of its assets, what is the club really worth? Sadly the cold hard figures do not make for pleasant reading. A negative net worth of over £11m is somewhat worrying, or at least it would be had the club not won promotion. This is due in no small part to an increasing portfolio of debt, which will be covered in part two of this piece. In terms of the club’s assets, Bloomfield Road and Squires Gate are valued at a combined £10.8m. The value of players would likely have been booked at their remaining contract value as of 31st May 2010, but if you consider the bids received in January for Charlie Adam for instance, you can see that the net worth in the accounts is not entirely representative, valuing some players at a fraction of their market worth in some cases (and perhaps more than their market worth in others…mentioning no names!). In terms of revenue, ‘Pool had a bumper year in 09/10, albeit nowhere near the level of turnover they will expect to achieve this season in the Premier League. For the year ending 31 May 2010, the club increased turnover by more than 35% on the previous year, although the club’s own accounts make it difficult to ascertain exactly how this was done. Where the majority of football clubs disclose a breakdown of their income, the accounts for both Segesta Limited and Blackpool Football Club limited are frustratingly vague. A significant proportion of the increase can be attributed to the new Football League television deal which came into effect for the 09/10 season. Elsewhere, the successful play-off campaign will have added extra revenue to the coffers, although the Seasiders’ share of the sizeable Wembley gate receipts went to defeated Cardiff City as part of a gentleman’s agreement arranged ahead of the final. While it’s difficult to establish exactly where the extra turnover came from, there is one area where there was definitely not an increase – home gate receipts. As you can see from the above chart, despite performances on the pitch unrivalled for a generation, the average attendance at Bloomfield Road last season was lower than Blackpool’s first campaign in the Championship in 2007/08. While ‘Pool enjoyed a decent bump in crowds upon promotion to the second tier, through a combination of drawing in new supporters as well as benefiting from larger away followings, the novelty of Championship football soon wore off, if the attendances are to be believed. During the 09/10 financial year Bloomfield Road witnessed its biggest renovation since the opening of the North and West Stands in 2002 with the construction of the Jimmy Armfield South Stand. After countless delays, steel finally arrived on site in June 2009, with the stand finally opening some nine months later on 20th March 2010 for the home game against Crystal Palace, although internal works continued beyond the opening of the seats for matchday use (and in fact continue to this day). Taking all of these figures combined, you get a total cost for the South Stand (before completion of internal fitting) of almost £4.7m to date. The Oyston vehicles above appear to have managed the sub-contracting on behalf of the club, being headquartered at Bloomfield Road itself. However, both Promenade Construction Limited and Promenade Interiors Limited have operated at a small aggregate operating loss for the past two years, refuting claims from some quarters that the Oyston family may have skimming some profit off these deals. The situation surrounding Promenade Development Limited is less clear though, with the company seemingly not even registered at Companies House. Looking towards what may appear in next year’s accounts based on Blackpool’s first season in the Premier League, it’s reasonable to assume there will be significant additional costs in this area, for both the construction of the new East Stand and the ongoing fit-out of the South Stand. Beyond that, the 09/10 accounts outline that plans are in place for South East and North East corners to be added to the stadium, with the club already confirming the former is likely to take place this close season. The accounts do not, however, make any mention of a new training ground – news of which has gone unerringly quiet. Elsewhere there is information in the club accounts relating to the original ground redevelopments at the start of the millennium. The Football League awarded the club a ground improvement levy to help dismantle the old West Stand and allow for the rebuilding process to begin. As for the existing North and West Stands, the accounts state that a grant of £2.45m was received from the Football Stadia Improvement Fund in 2002, with an added £50,000 a year later. The grant continues to be amortised in the club’s accounts over the estimated useful life of these stands, 50 years. This grant is repayable upon certain breaches of conditions, which as yet has not been the case. Hopefully the first part of this piece will have addressed some lingering issues regarding ownership, stadium development and turnover. In the second part of this post I will examine player wages, transfers, debt and how Premier League money will affect the club in forthcoming seasons. Expect to see part two at some point in the course of the next seven days.